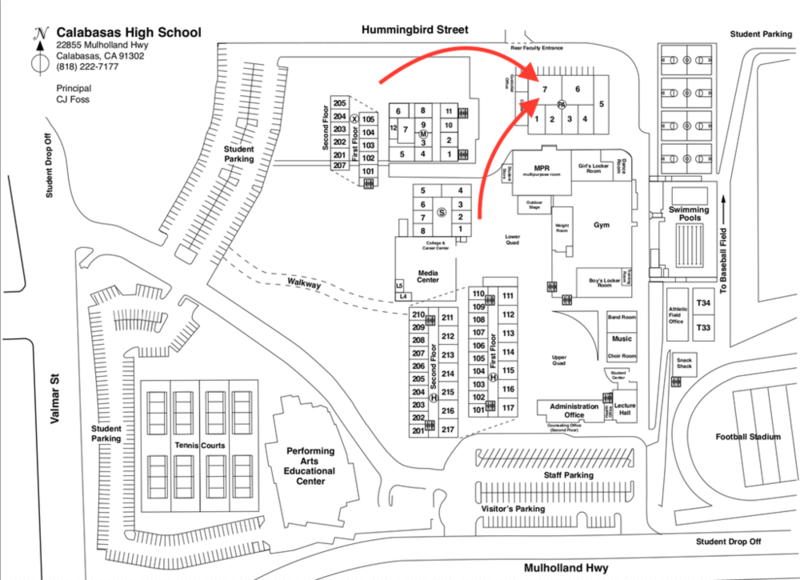 You can find our lab on the Calabasas High School campus located in room PA7. Biology and Physiology classes are conducted throughout the regular school day. Students are welcome to visit Ms. Bailey anytime during Support hours. For any other appointments, please contact Ms. Bailey for scheduling and availability. For an understanding of Ms. Bailey's expectations for behavior and our learning environment, check the Expectations Page. For a list of our Lab Safety rules, please check the Lab Safety page. All students are sent home with a copy of these rules to review with their parents and sign before being allowed to conduct experiments in the lab safely. The labs in our Biology course include the examination of microscope slides, different preserved and living organisms, experimentation with liquids, foods and gases. Please review Lab Safety guidelines carefully to make sure your student is able and prepared to conduct these labs. Please let Ms. Bailey know about any specific allergies your student may have. Specific labs in Biology will be listed on the lesson(s) they are conducted on, which can be found on the unit page. To find our units, go to Biology and select a unit. Units become available for access throughout the year depending on our progress. In our Physiology course, there will be labs that will involve dissections, fluids, tissue slides and strong odors. Please review Lab Safety guidelines carefully to make sure your student is able and prepared to conduct these labs. Please let Ms. Bailey know about any specific allergies your student may have. Specific labs in Physiology will be listed on the lesson(s) they are conducted on, which can be found on the unit page. To find our units, go to Physiology and select a unit. Units become available for access throughout the year depending on our progress.